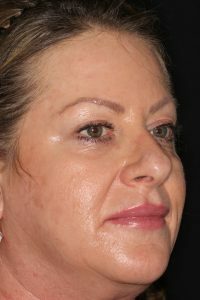 An introductory facial dermal filler course. Learn how to cautiously add facial volume and reduce deep facial lines and folds with dermal fillers. Level 4 is a comprehensive facial dermal filler course that reviews the anatomy, injection treatments and results of cases in Level 1 through 3, and presents them in combination with dermal fillers to complete the 3D analysis and rejuvenation of lost volume with predictable results. This course proudly welcomes Dr. Kimit Rai as the Clinical Director. 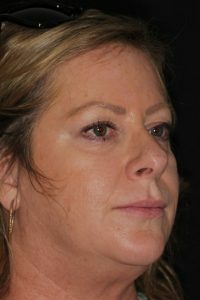 The Level 4 course begins with a review of how advanced techniques of botulinum toxin is used in the mid and lower face to relax the muscle. Repeated treatment with botulinum toxin diminishes the subconscious habits that resulted in lines, depressions, lumps and bumps. Learn how you can prolong the results of dermal filler by adding volume in deep facial lines and folds after relaxing the musculature. Dr. Roberts & Dr. Rai provide an in-depth review of anatomy focused on the of the mid-face and lower-face. In this integrative skull & cadaver lab, learn how surfaces feature and bony landmarks relate to underlying musculature. Day 2 is an advanced clinical hands-on practicum where you will have the opportunity to watch a live demonstration and inject dermal filler on your own patient models. Each practitioner must provide at least one patient model for treatment. Multiple patients is highly recommended. Understand how to improve patient care with filler in the vermilion border, lips, interdental papilla, nasolabial folds. Level 4 includes an online didactic section (20 hours + exam), and 1.5-days of hands-on (12 hours). Level 4 includes 32 CE credits upon successful completion of the hands-on session. Upon registration, access to the online Level 4 course materials is provided for one-year. Learn how to prolong the results of dermal filler treatment after relaxing the musculature. Learn how to cautiously add facial volume and reduce deep facial lines and folds with dermal fillers. Learn how to improve patient care with dermal filler treatment. Pre-requisite: Successful completion of Level 3 is highly recommended, however at a minimum, practitioners must have completed Level 2 and have proficiency of the PTIFA Marking & Injection Techniques (20 cases is a suggested recommendation). Requirements: At least one patient model, current copy of your license and malpractice insurance is required. Patient Model: Cost of supplies used at the course. Practitioners are responsible solely for the patient model they provide at the course. PTIFA is an ADA CERP recognized provider. ADA CERP is a service of the American Dental Association to assist dental professionals in identifying quality providers with continuing dental education. ADA CERP does not approve or endorse individual courses or instructors, nor does it imply acceptance of credit hours by boards of dentistry. PTIFA designates Level 4 for 32 hours of continuing education credits. Register your Team Members for the advanced Level 4 - Team Training course.